Bringing to you the very best of Hip hop. When we select artists we take a look at not only their lyrical prowess but also their musical production and versatility. See something you like? Share it! We embed every song so you can enjoy them all without having to follow any links! Happy listening! Andy brings us back to a thoughtful look at his life and the walk of the christian man. Being open about the struggles he has had and how he feels in his own life was a refreshing return to his discography. Please give this a listen! 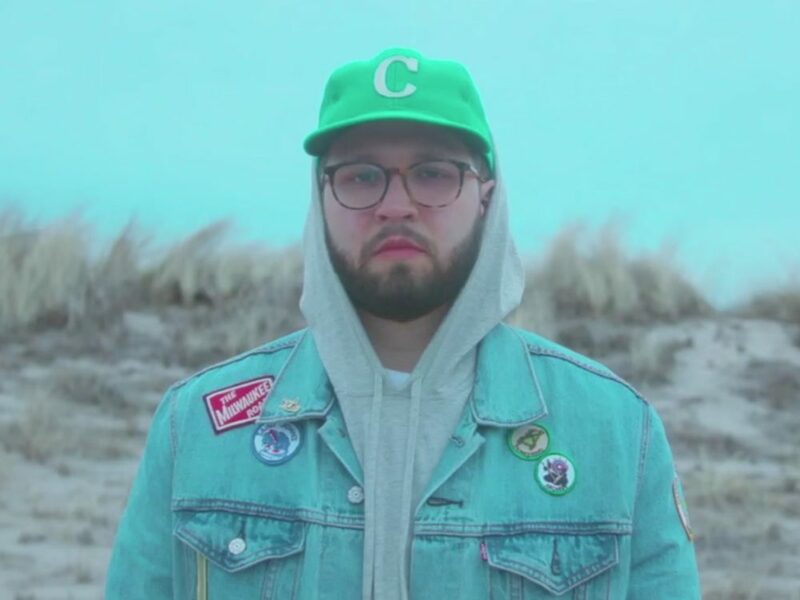 Andy Mineo brings us back to a thoughtful look at his life and the walk of the christian man. Being open about the struggles he has had and how he feels in his own life was a refreshing return to his discography. Please give this a listen! Mixing rich vocals with a light leads and heavy bass. Uzuhan never disappoints! A Up and Comer From North Carolina, Flauce brings it in a strong and unique style. This is just one of many great tracks from him! Expect big things from him! Support, Share and listen Below! Lecrae drops his exclusive single that was just for people who preordered his book. He finally let it go to full public release and boy we are glad he did! Starting with a catchy trumpet hook he has a very distinct feel to it. He talks about being original and it truly shows with his musical composition. If you haven't heard it yet, check it out below! You won't be sorry! Newest single by Dream Junkies definitely makes a statement. With a energetic opening, John Givez gives it his all. With beautiful California as the backdrop, you really just have to watch the video to get the full effect! If you have never had the pleasure of hearing Canon, let this be the first song you hear. Just under a year since Canons accident, he is back bigger and better than ever. If this song doesn't pump you up I really don't know what can. Canon's signature production style and his own rapping flow create a wonderful mixture that not many other rappers can live up too. Check it out below! Joey Jewish starts 23 off with a cut up beat and keeps the song pretty mellow throughout, with some great high ends. The production on this trap is professionally done. If you didn't know who you were listening to you might think he sounded like a certain famous rapper from Toronto. But he comes through with his own style that really suits this track. If you haven't heard Joey yet, do yourself a favor and take a listen! Young Minds comprised of Adrian Stresow and Levi Hinson only released 1 other song on their Soundcloud besides Rookies, but you would have never guessed it. It Rookies starts off with a funny sample of an R&B singer, as soon as you think it may be a light beat it drops in with a heavy bass drum beat and some delayed bells. The main riff takes some inspiration from Nicki Minaj's "Only" produced by Onika Maraj, Aubrey Graham, Dwayne Carter, and Rock City. But puts its on spin on it with nice use of the previous stated Sample. Check out Adrian and Levi's Soundcloud along with Young Minds because they are definitely guys to watch out for! Alex Faith's 3rd studio album is about to drop. Rapzilla just put 95 Atlanta out for a 24 hour premiere. Sounding like it's straight out of a boombox, the bass hits you with a funky riff after a few cracks of the snare. In the latter half of the song introduces a sax that gives the whole track a fresh feel to it. If you are looking for something to bump down the road with, pick this one up.